Camping Club Mar Estang is a fantastic 4 star quality campsite that’s set within 13 hectares of grounds, a short stroll away from the resort of Canet-Plage. 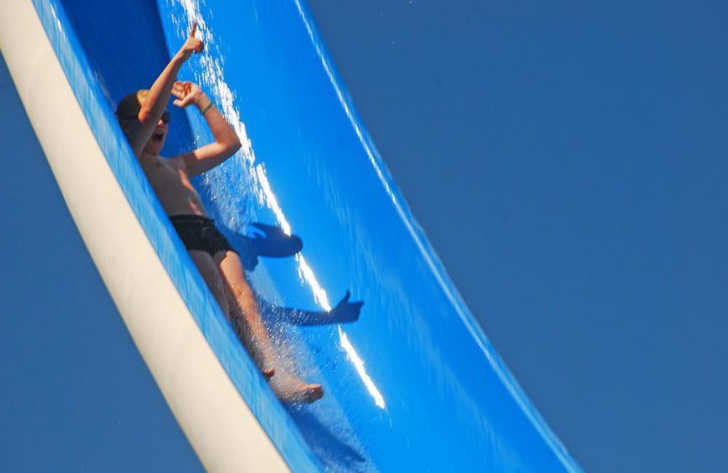 This large and lively campsite is the perfect holiday location for families looking for a great beach holiday in the south of France, whilst also boasting a great range of facilities and activities. The campsites facilities are modern and well kept and the more active families will love the fun filled entertainment programme that’s on offer throughout the days and evenings. The restaurant at Camping Club Mar Estang provides visitors with a lovely range of different foods but if none of those take your fancy then a short 5 minute walk into Canet-Plage will provide you with a whole multitude of different restaurants and bars where you can sit back, enjoy a meal and watch the world go by! One of the best things about Camping Club Mar Estang has to be its stunning location. Direct access to a wonderful beach that has amazing views and stretches out for miles in either direction will leave you wanting for nothing. The sand, sea, sun and mountain views really do make the perfect location for a family holiday whether you plan to swim, play or just relax in the sun. Camping Club Mar Estang benefits from a wonderful swimming pool complex which offers visitors a perfect tropical paradise filled with plenty of plants, palm trees and places to sunbathe. You’ll also find 6 excellent swimming pools, slides, jacuzzi and of course a sun terrace. Camping Club Mar Estang campsite offers a comprehensive selection of activities and facilities on site and also nearby to ensure you have a fantastic family holiday. On-site activities at Camping Club Mar Estang campsite include table tennis, tennis, football, basketball, volleyball, running track, gym, scuba diving, boules, playground and cycle hire. Facilities available at Camping Club Mar Estang campsite include WIFI, restaurant, takeaway, bar, groceries, games room, tv room, animation team, washers and dryers. Accommodation at Camping Club Mar Estang campsite includes a range of 2 and 3 bedroom mobile homes that are available from Eurocamp, Al Fresco Holidays and Suncamp. You can also book camping pitches for your own tent, mobile home or caravan at Camping Club Mar Estang.